With the Japanese launch of Sony’s new handheld gaming device PlayStation Vita this weekend, the company is hoping to outplay not only the Nintendo 3DS, but also smartphones and tablets. We spoke with Sony’s director of hardware marketing John Koller about how Vita can compete in the brave new portable world. Fast Company: What was the main strategy when the tech specs of the Vita were being decided? John Koller: It was designed with one thing in mind, and that was to supersede the mobile-gaming market for the next five to six years. We think we’ve accomplished that many times over. The idea behind the specific features was that we saw a lot of research on how consumers play both handheld gaming devices, console devices, but also the emerging markets of tablets–this was back in 2008 and 2009. Seeing how those gamers played and seeing the frustrations they have with control and with graphics and with longer-form content, really allowed us to build a system that took advantage of everything we do well at PlayStation: the biggest and best gaming experiences, great franchises, and integrating new ways to control them, new ways to play as we call them. We think we have created unequivocally the best handheld gaming system ever designed. I think that when people get their hands on it, it is a beautiful, near-HD experience. A lot of people have called it a PS3 in your pocket. And I think that it is exactly what we wanted to get when we first started to design it three and a half years ago. It seems like just about every complaint from fans of the first PlayStation Portable have been addressed. I think we had a lot of learning out of PlayStation Portable. The PSP was an absolute success–it has a 70+ million global install base now. And there were some things, looking at that particular product, as we saw next generation coming, that we wanted to improve upon. We really did look, not only at PSP, but also at mobile phone and tablet. That was really where we started. If the experience and the trend for casual and some core consumers is in the direction of mobile and tablet, what does Vita need to be to top that? I think the answer for us was a very engaging, rich, high-definition experience that allows you to immerse yourself in the game. What we did was take the idea of people spending 80% of their time outside of their home–so if you are going to have a handheld device you need to have something that is engaging in a way that consoles are engaging to a living room. The way to make handheld more engaging is to take the world that you are in and allow it to impact your gaming experience, whether that’s Augmented Reality, whether that’s location-based, whether that’s 3G–we wanted to take all of those elements of where you are in the world and impact your experience. The result are things like Gifting with Near, or Treasure Hunt, or the ability to download content wherever you are, multiplayer gaming sessions, and Augmented Reality, those that change your environment to play the game the way you like. So those were all the new ways we looked at to change the mobile and tablet experience, to improve the PSP experience, to make Vita really unique like the consoles are unique. The Vita is launching into a very different market than the PSP did in 2004–where smartphones and tablets are more ubiquitous. Are you worried it will it be more difficult for the Vita to find an audience? No, we’re not. The market was completely different in 2004–we launched in 2005 in North America–it was a completely different market: tablets were not in existence, mobile phones weren’t as powerful as they are today. We knew mobile phones were going to get smarter, though–you can see that trend line even then. We really relied on the core strength of the PSP, those big game franchises. We opened it up to a more casual audience as we went along. I think that Vita will appeal to a core consumer at launch, there is no doubt about that, with games like Uncharted, like FIFA, and Marvel Vs. Capcom 3. Those kind of games really provide something for that core consumer. That all said, as we go into the back half of 2012, we fully expect to be able to convert a lot of the casual consumers that are currently playing on tablet and mobile because of the types of experiences that are accented so well and are so easy to play and engage with on Vita. So we are really relying on that Wow factor. Going into the marketing, the biggest part of our marketing campaign is getting people to pick it up and try it. So the experiential part allows the casual consumer to come to this market in large amounts. Are you guys doing any extensive touring, previews, and demos? We are. Right now we are in malls and what we’re calling social clubs, in hipster locations, throughout the U.S. and some parts of Canada, to allow people to touch and play and try. We haven’t done this before at PlayStation. We have been fairly insular that we launch a platform and the first time you play it is day one. Now we are out four months before the launch of this. And it is having a very material effect on preorders, on the impact of people talking about it and what they experienced. We will continue that through the year. There is a strong sentiment that the experiential portion of our campaign is really the most critical. It’s the Wow factor when people try it and play it. It’s that talk factor that will help us with the casual consumer. The casual consumer is more price sensitive, they are not really an early adopter, but they want the content experience to be justified when they purchase a handheld device. So I think we are in a really good position with them. Sony has also released a smartphone with a focus on gaming, the Xperia Play. What is the strategy behind having both the Play and the Vita on the market? It’s a broader Sony question, because PlayStation doesn’t launch Xperia Play, Sony Mobiles does, but the idea is that wherever you are, wherever you want to experience content, PlayStation is there. So the Xperia Play–it’s the PlayStation Suite on the developer side–is designed to allow for smaller game types, mobile game types, to include PlayStation content. Those more engaging experiences, the ones that allow you to affect the world around you and the world affects your gameplay, will only be available on Vita. The Vita is the premier product in that portfolio, where it has the biggest and best franchises, as well as the smaller pick-up-and-play games. It has so much range and diversity of content, and that’s where Vita is really going to shine. And on the PlayStation Suite side, the ability to have the phone you currently use and play existing PlayStation content, that’s really special. There is a definite umbrella strategy to having the PlayStation content anywhere you are, but Vita is certainly the premier device. So what is the value proposition for the Vita? What will the public get there that they can’t get anywhere else? I think it’s underneath the new ways to play. Our tag line is , “Never stop playing.” It really fits well with who we are as PlayStation. Those new ways to play, the way you interact with your environment, is really so critical. That also includes a social aspect. One thing we heard at the launch of PSP was a derisive term, calling it PlayStation Personal–it was very much between you and the device, and there was no connection to others. Vita’s been built with exactly the opposite, to connect all of us, to have all of us in a region playing together, or in a location. Everybody can become part of the Vita movement through a game, or through the Gifting, or the Treasure Hunting, or the sharing of content. It’s a very important trend in our society, but it’s also very important in gaming. You want to be able to share your content, be able to play others. I think ultimately the social component, that’s really going to be a critical part of this launch. Communication is a big part of it–we will have cross-game chat, which we are calling Party Mode. Those are really important parts of how people game outside of their home. What is the one aspect about Vita that you think isn’t being discussed enough, that you think everyone should know? The area that seems self-explanatory but that often is not, is the type and style of games. If you play some of these franchises that are launching on mobile phones, on tablets, the experience is lacking. And most people understand that. This is a market need we are solving. 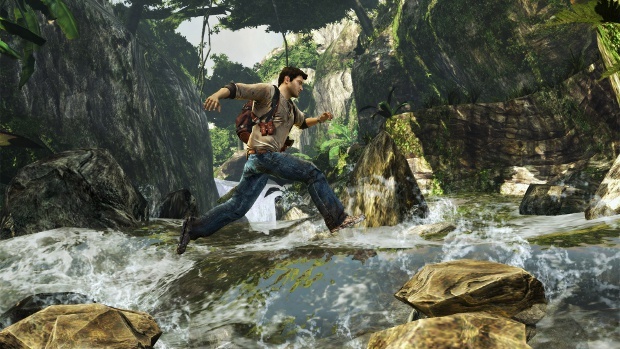 You are going to get an Uncharted that is very similar to what you have playing on PlayStation 3. You are going to get an MLB that connects to your PS3 and lets you continue your game from PS3 on your Vita. So the size and the strength and the grandeur and the richness of these Vita games are such that it really leaves most of the mobile gaming world behind. I think that’s where we initially capture that core consumer, and then can rope in the more casual later in the year when we are able to add a lot more of the casual type content that is easy to pick up and play. I think we really have a real strength with Vita. Every publisher in our industry is on board–we have been working with them for three and a half years now. 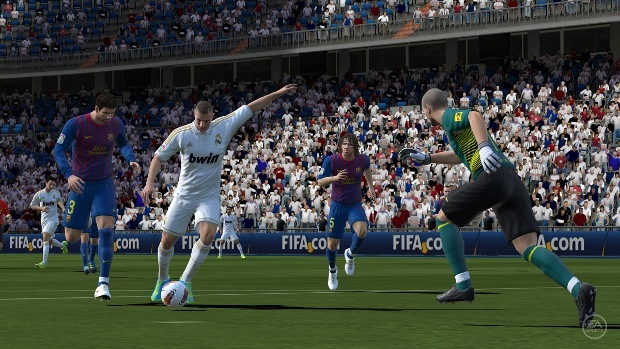 We’ve got about 100 games that will be launching in 2012–for a handheld that’s absolutely enormous. Content is going to be our secret weapon. Now that the Vita has launched in Japan, Sony will be gearing up for the launch in North America and Europe in February. What will Sony be doing for that launch that is different than Japan’s? Traditionally, the Japanese handheld market has been a much more socially engaging market. If you look at a game like Monster Hunter, where they get together locally to play the game, we haven’t had that as much in North America. I think the difference now is that location-based gaming, Near applications as we call it, allows you to play with a wide range of people that are in your area. In many ways, it’s the equivalent to what happened with Monster Hunter in the last generation, and brings that to Vita and allows you to all to play together. That social component that was so successful with the Japanese market, I think is brought to Vita for virtually every game. What could be different is the games accented at launch. Japan certainly has their big publishers that are ion board, and are on board here in America as well. You will see a few of those games pop more there. We’re going to see more of Uncharted and MLB and FIFA do well here. But across the board, I expect the hardware to be strong in terms of sales. I will iterate again that we really do think this is the best handheld gaming device ever created. We are going to be marketing it as such, talking about it as such, and pushing developers and publishers to continue to make those kinds of experiences. If you look at 2012, we have a good sense of the roadmap, about 100 games. If you look at 2013, we are going to have a significant amount of launches. There is going to be a lot of learning out of the types of games and what games do well in the first year for Vita. Follow the author (@khohannessian) or Fast Company on Twitter.